As a top natural stone fabricator in Orlando, we know that bathroom countertops are one of the most important features for elegance in any home. When you are looking to purchase a home, one of the first things that will catch your eye are the countertops in that prospective home, and the bathroom countertops are every bit as important as the kitchen countertops. And each bathroom is different, and everyone has very personal tastes and priorities, so we have a wide range of options for bathroom countertops to meet every taste and make sure that we make your bathroom as beautiful and elegant as you envisioned. There are not many things in your bathroom that can completely transform the visual aesthetics like a new, gorgeous bathroom countertop from Stone World. The quality of our work will leave no doubt that we are the professionals for the job, and every aspect of the project will be done with professionalism and precision to exceed your expectations. We know that your bathroom is one of the most important rooms in your home, so we know that the job must be done exceptionally well to meet your expectations. We like to work with clients who have the same high standards as we do, and we will communicate our process throughout the project. 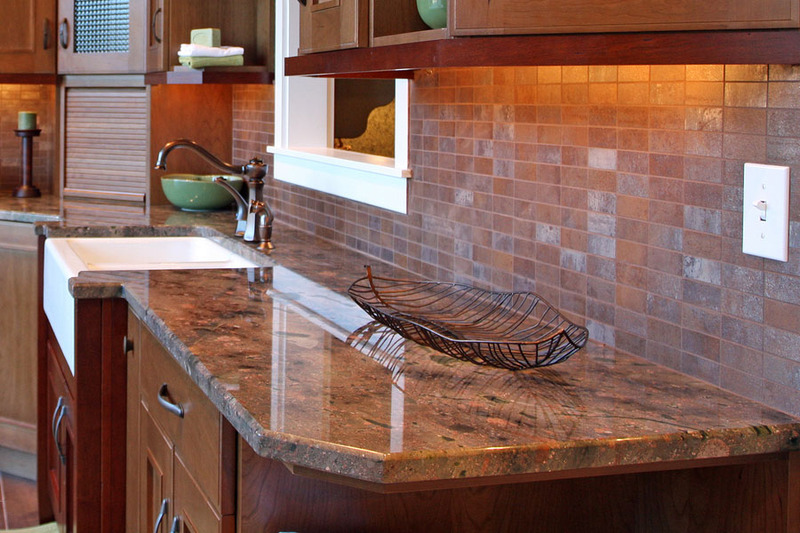 There are many options for natural stone bathroom countertops, to include granite, marble, and quartz. No matter which natural stone you select, all will make your bathroom room elegant, dramatic, breathtaking, and a place you will enjoy spending your mornings as you prepare for your day. Your bathroom will just feel like a different place, and will have you feeling energy and emotion to start your day. As you sit at your vanity preparing for your day, you can't help but admire the beauty of your bathroom countertops. It will leave you with a feeling of warmth and joy. 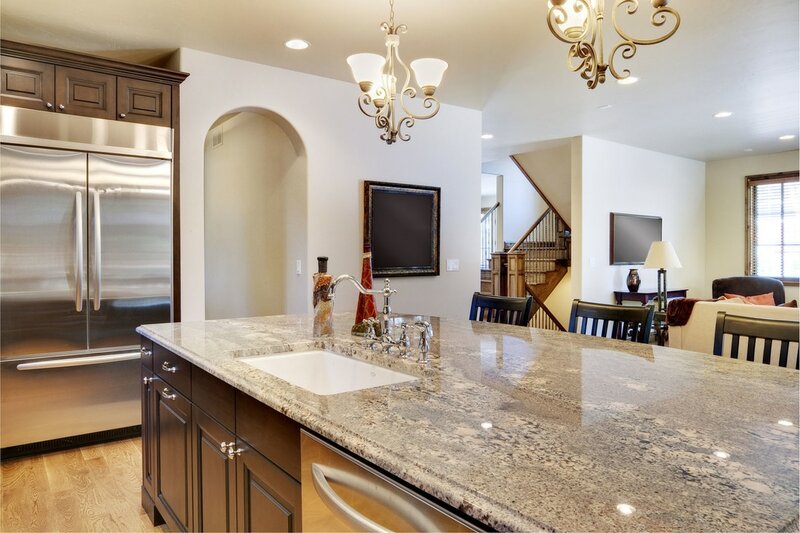 Granite remains a very popular choice, as granite bathroom countertops offer a nearly endless variety of patterns and colors to appeal to any taste and color scheme such as the classy and very elegant granite countertops in fantasy brown. Another benefit of granite, it will last just about forever! Quartz is also a great option, and is more resilient and durable than granite. Quartz is naturally resistant to stains, moisture, scratches, and bacteria, which makes quartz vanity tops an excellent choice. Marble is the third option for stunning bathroom countertops in Orlando, and will never chip or dent. Another advantage of marble is that you have more options as far as the finish. You can polish the marble for a high shine, or you can have more of a matte finish for the more casual taste. 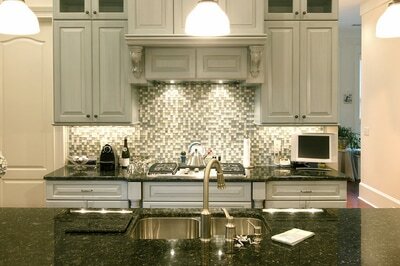 Call Stone World today at 407-341-4688 for a free estimate for bathroom countertops Orlando FL. Our team of home decor pros can meet with you at your home or business and provide many stone options, as well as many color options to accommodate every taste and preference.